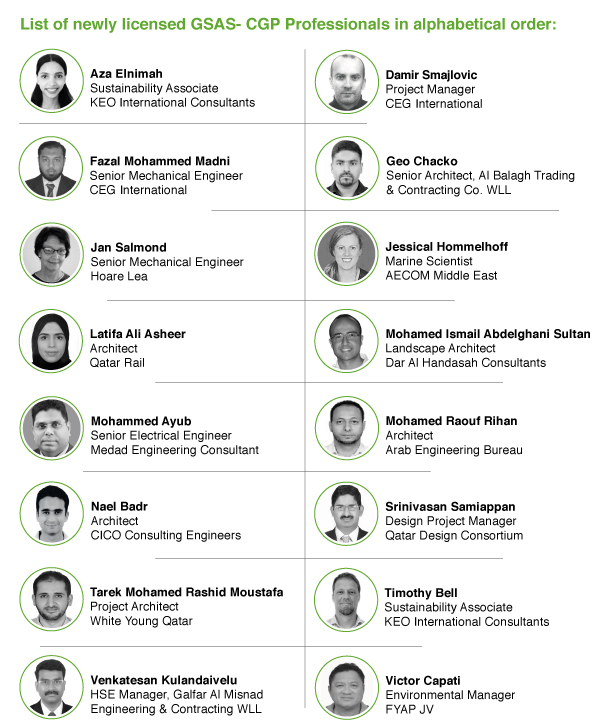 Upon their successful completion of GSAS - CGP online exam, Sixteen (16) professionals have joined the GORD green community, obtained their license, and became GSAS - Certified Green Professionals designated as Licentiates. 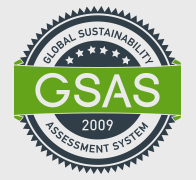 Licentiates will play a vital role in driving sustainability move through the implementation of GSAS on macro as well as micro levels leading to the creation of the better living environment. Worth noting that Professionals can opt to progress in GSAS career path by combining theoretical knowledge and practical experience as outlined in GORD Academy presentation and guide.